As a child I never cared much for mushrooms. However over the years I have grown to enjoy their robust flavour and meaty texture and this easy stuffed mushrooms recipe is one I thoroughly enjoy. 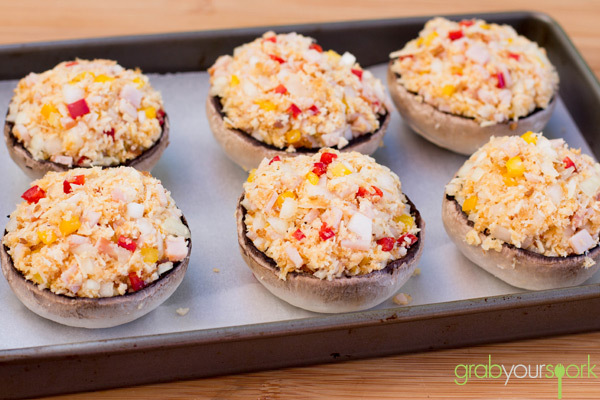 Stuffed mushrooms are extremely easy to make and you can almost combine any ingredients you want. 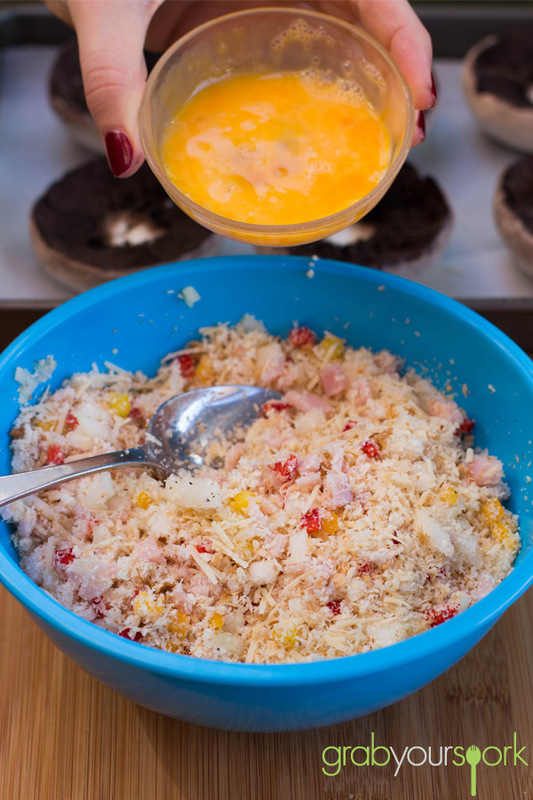 To make our recipe Brooke uses fresh breadcrumbs as the base, then adds diced onion, capsicum, pecorino cheese, bacon and an egg. Through adding an egg not only helps bring the ingredients together it gives the stuffing a light fluffy texture. 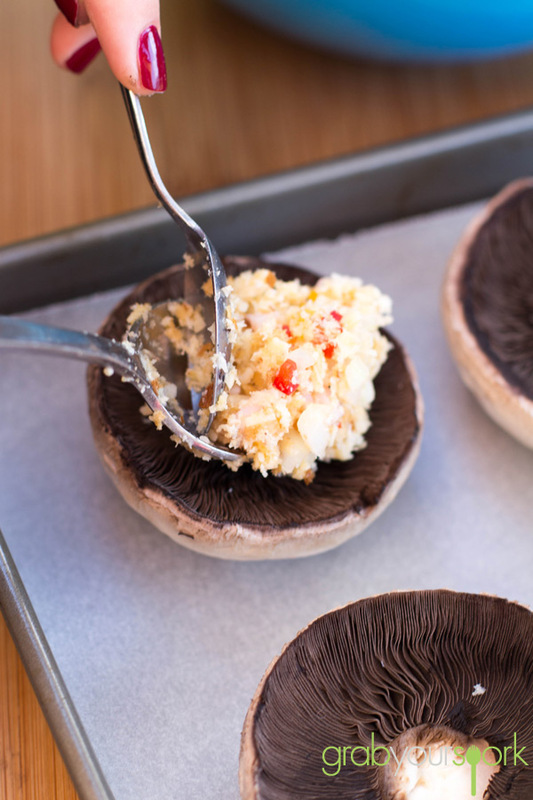 As mushrooms are a great option for vegetarians these can easily be made without bacon. You could even play around with the flavour combinations using sundried tomatoes, spinach or cream cheese. 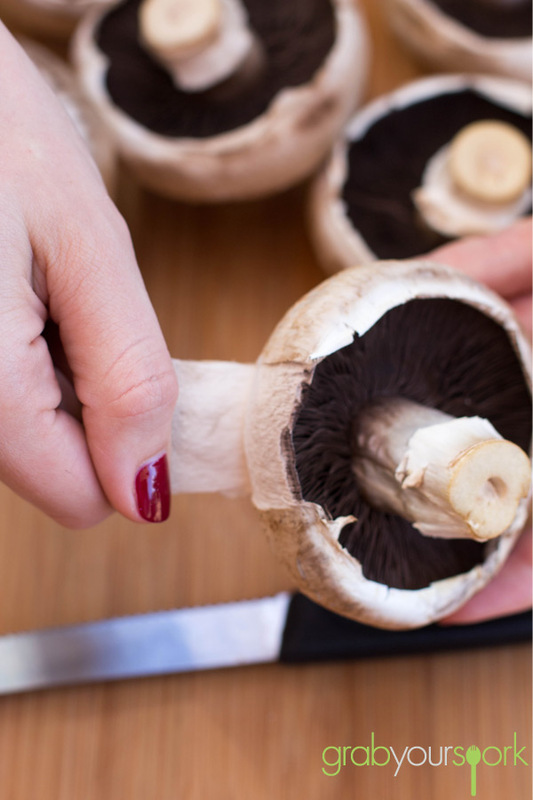 To make this recipe, firstly you need to clean your mushrooms well ensuring there is no soil or dirt. After removing the stalks so you have room for your filling. 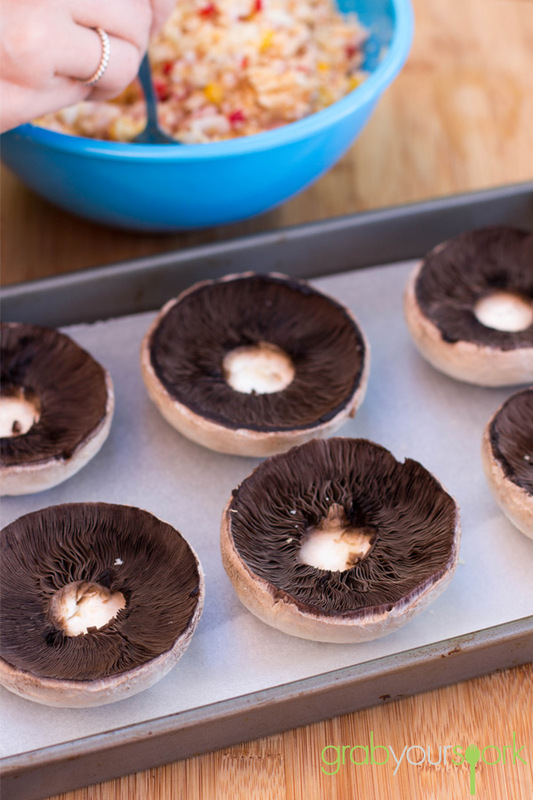 Place the mushrooms on a baking tray while you combine your stuffing. 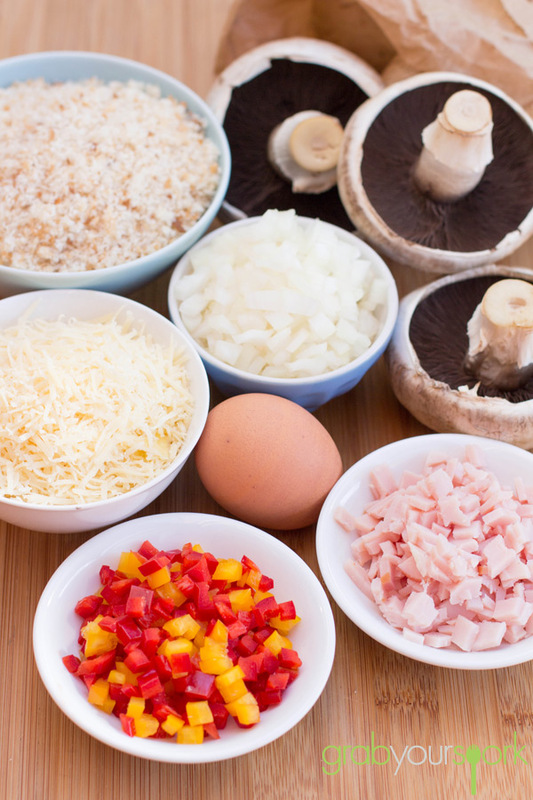 Simply mix the ingredients together in a bowl then fill the mushrooms until they are well packed. Sprinkle with a bit of extra cheese then bake in a moderate oven for 10 to 15 minutes. 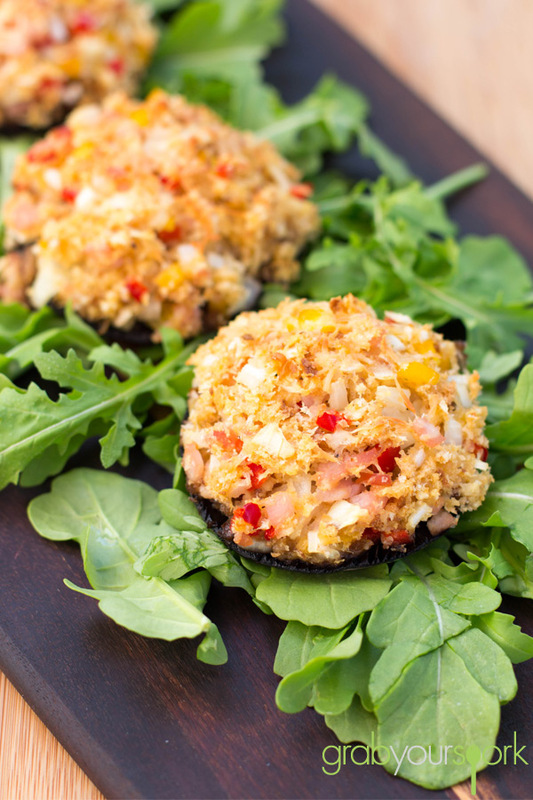 We had these for brunch, however they are great as a light starter, lunch or even as a side to a main meal that’s the beauty of this easy stuffed mushrooms recipe. 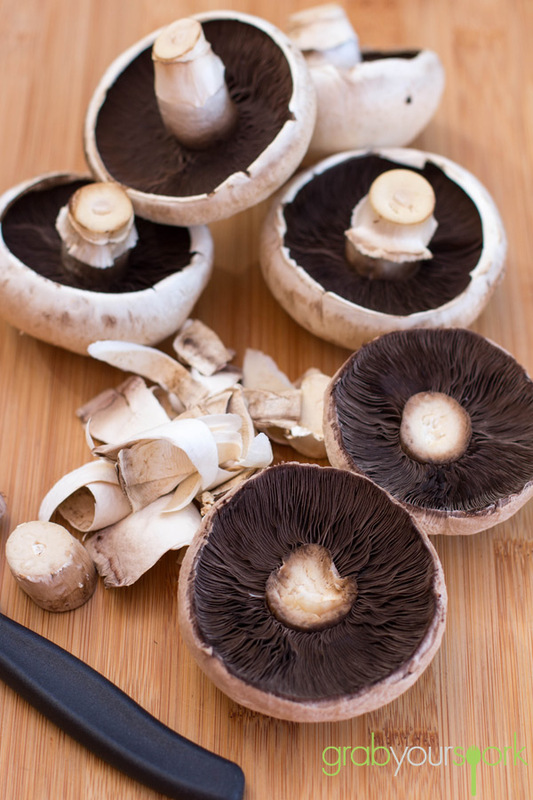 This is definitely one of my new favourite mushroom recipes, but if you are looking for other appetiser recipes, then you should check out our easy savoury muffin recipe or vegetarian rice paper rolls. Stuffed Mushrooms with fresh breadcrumbs, diced onion, capsicum, pecorino cheese, bacon and an egg. Wash the mushrooms, drying thoroughly and remove stalks. Combine the breadcrumbs, onion, bacon, cheese and capsicum. Add the beaten egg and mix until well combined. Fill the mushrooms until well packed. Sprinkle with extra cheese. Bake in oven for 10 to 15 minutes. Serve warm.